The holidays inspire a time of tradition and usually, New Years is seen as a time of deep reflection. In January, approximately 1 in 3 Americans will vow to better themselves in some way during the upcoming year. Let 2016 be the year for your rehabilitation resolution and no longer allow substance abuse to be a hindrance in your life or a loved one’s life. Over 40 million Americans are currently battling addiction. 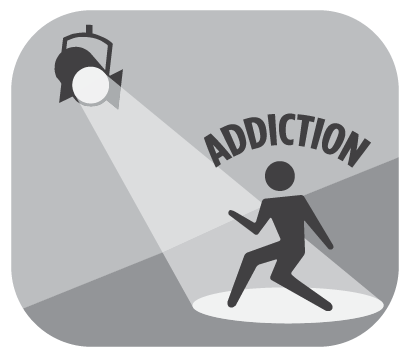 Identifying the warning signs of addiction in a loved one can be a daunting task. Most times, individuals are extremely discreet about their substance abuse problems and family members may be apprehensive to confirm that their mother, brother or son is an addict. The first step to recovery is understanding that addiction is a disease. Addiction knows no bounds and can affect any person of any gender, race or financial means. Over 40 million Americans are currently battling addiction, with the number steadily increasing due to the ever-expanding drug epidemic in the United States. Save a loved one today by understanding the warning signs of addiction and let 2016 be your year for rehabilitation and recovery. Repeated engagement in drug use, or other addictive behaviors, affecting the brain’s motivational circuitry, can lead to impaired control over further drug use. Disruption of healthy social supports and problems with relationships. Exposure to trauma, such as a terroristic event or abuse. Having a family history of addiction. Addiction must be treated with rehabilitation, preferably an inpatient program lasting for 90 days. Relapse can be an all too familiar occurrence due to the aggressiveness and severity of this disease however, each year of sobriety means there is less of a chance for this. 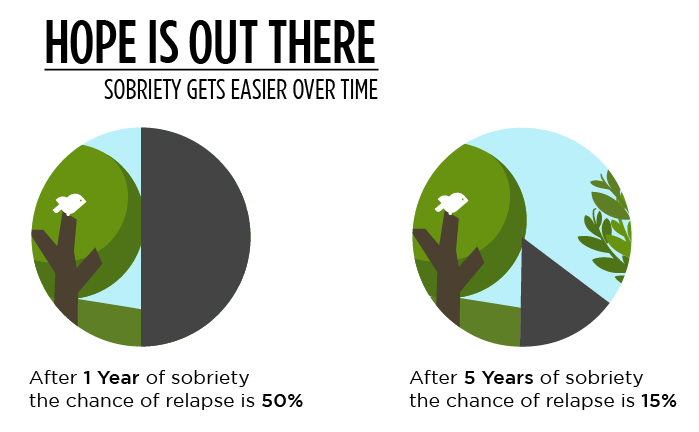 Once an individual is five years sober, the chance of relapse is less than 15 percent. Rehabilitation arms patients with the skills to cope with their addiction once they leave the facility. Centers that implement only proven, evidence-based treatment programs better aid addicts with the tools so that they are less likely to relapse. If they do transgress, they are prepared to begin the process again and make steps towards a sober lifestyle. Loss Of Control: Continuing to use harmful substances although they may want to stop. Neglecting Other Activities: Not participating in activities once enjoyed or ignoring responsibilities. Risk Taking: Partaking in dangerous activities to obtain illegal substances or having blurred judgement and participating in illegal or life-threatening situations. Secrecy: Hiding what drugs a person is taking or being secretive when going to obtain the illegal substances. Change In Appearance: Severe physical changes and deterioration and lack of hygiene. Tolerance: Overtime an individual’s body will adapt to any substances that they are taking in order to obtain the same high. This causes them to increase dosage or amount. Withdrawal: Experiencing extremely anguishing physical and mental symptoms when a substance is not being taken. Addicts may feel nauseous, irritability and depression among many other symptoms. Continued Behavior Even When Faced With Negative Consequences: Although a person may experience a wide variety of adverse consequences such as injuries and arrests, they continue with their substance abuse without seeking treatment. 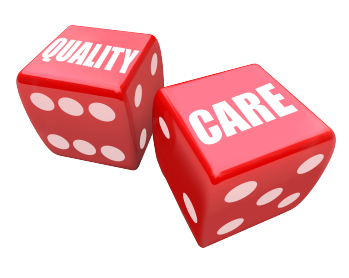 Accreditation: This ensures quality and that a facility is concerned with the unique needs of each individual patient. The Gold Seal of Approval from The Joint Commission on Accreditation of Healthcare Organizations is one of the most prestigious credentials a rehab facility can receive. Onsite Medical Detox: Detox is a vulnerable period for a person and can be an extremely painful process for an addict. Onsite detox provides a safe environment where patients are supervised by caring and licensed medical staff. Family Involvement: This is a necessity in order for an addict to thrive after rehabilitation and continue their road to sobriety. A facility should integrate families into the rehab process. It can provide counseling and guidelines for after rehab life and assist an addict and their family with healing. Aftercare Plan: This plan creates a set of guidelines to aid a patient once they leave rehab. This plan may include specific support groups in their area, connect them with facility alumni and helps families on how to help their loved ones reintegrate into society. Every year, New Year’s provides a platform for individuals to start anew and accomplish all their goals for the upcoming year. Let 2016 be yours or your loved one’s year to achieve their rehabilitation resolutions and become sober. Behavioral Health of the Palm Beaches is a state-of-the-art rehabilitation center that has provided its patients with the most quality care for over two decades. We implement proven, evidence-based practices to ensure that our patients can successfully achieve sobriety and continue to do so once they leave the facility. Our comprehensive, holistic approach to treatment is accredited and certified by the Joint Commission. Our wide array of diverse treatment programs has aided Behavioral Health of the Palm Beaches to boast industry high success rates for our patients. Allow 2016 be the year that you or a loved one enjoys life and becomes sober. For more information about our facility, please call (888) 432-2467.